Powerline layout constraints.5-18 port Hundreds of megabytes electrical ports, Support 5-18 port powered. WHY CHOOSE OUR POE SWITCH? 1. Smart POE power supply, never destroy equipment. 2. Smart on-demand power distribution. 3. One-by-one port start function. 4. Turn off the priority port function when it is overloaded. 5. Long-distance network transmission technology. 6. Flexible POE deployment capabilities. 7. Big data exchange capacity. Plug and Play. Compact desktop size makes it exceedingly easy to set up on desk or wall to supports all 802. 3af/802.3at devices. This POE switch is designed to handle Gigabit speeds. It work with any category cabling that is CAT5 or better. Smart port manage. Long-distance network transmission techno circuit with independent fuses that do not interfere with the normal operation of the logy. When the voltage is too large, automatic disconnect, over current overload protection. Each port has its own independentother ports even if one-way fails. Designed with international standards. 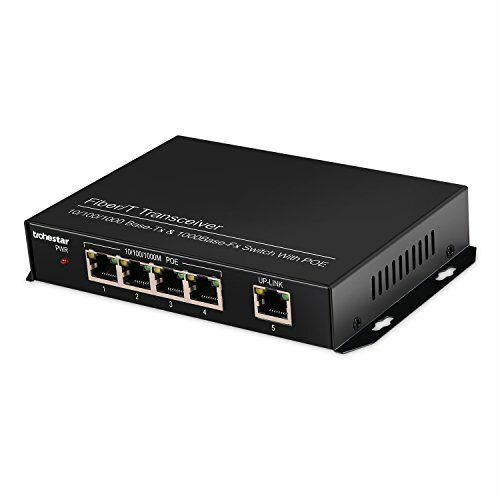 Suppport IEEE802.3af/at,all adaptive RJ45 ports,per port can supply up to 15.4W with 10/100/1000Mbps. Support the distance more than 100 meters and maintain the switch high power output of 60W as well. All-metal design, fast thermal conductivity. Holes are used on one side to dissipate heat, which makes the machine better able to dissipate heat during long-term operation. can be used in all kinds of environment, durable and a long lifetime. Metal also have signal anti-interference ability. Application environment: Million HD monitor transmission and power supply, Wireless AP layout transmission and power supply, Network telephone transmission, intelligent home system, Network multifunction system, Long-distance multi-media teaching system etc.